Keep your child reading all summer long and give them a chance to win great prizes. Summer learning loss is real. Research shows that an average of six weeks in the fall are spent relearning material that was forgotten during the summer. 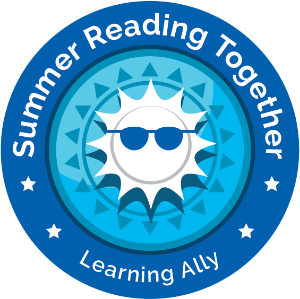 You can eliminate summer learning loss by signing your child(ren) up for Summer Reading Together. Plus, you’ll give them a chance to win great prizes, including $100 gift card for four overall winners. Once they’re signed up, just assign them books from their required summer reading list or fun books from our lists. Use the following resources to motivate your child and support positive reading habits.